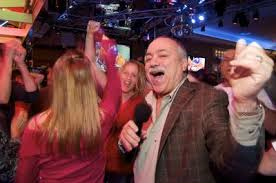 Bob Pantano is renowned in the ti-state as a professional broadcaster, but he is perhaps most well known as host of The Saturday Night Dance Party. This show has been a staple of radio station WOGL 98.1 for just over four decades, and is still going strong. Now in its 40th year, WOGL’s Saturday Night Dance Party is the longest running, radio dance party in the country. It is fitting that the longest running radio dance party originates from Philadelphia. Bob Pantano is a native of South Philadelphia, growing up in the region and enjoying its musicians right from the start. In the late 1960’s, Bob was already spinning records at sock hops and entertaining his fellow Philadelphians. In 1971, Bob Pantano began working at WCAM radio in Camden, New Jersey. In the ’70s, he had also began DJ’ing at several popular local night clubs. 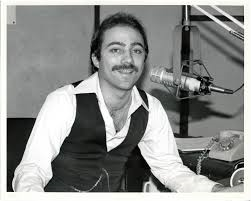 In 1977, Bob Pantano literally revolutionized the concept of the live radio broadcasting with The Saturday Night Dance Party. 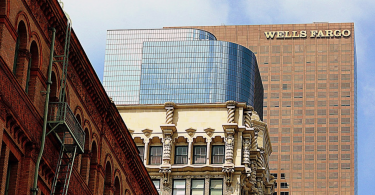 The broadcast still airs on WOGL 98.1 every Saturday night and runs live from 7:00 p.m. to 2:00 a.m., and it has delighted and entertained audiences throughout the Philadelphia area with its upbeat tunes and legendary energy. Throughout the years, Bob Pantano has kept the crowds coming back to his party week after week. His engaging banter and keen ear for music have kept his fans enthralled every Saturday night for going on 40 years now, and the party shows no signs of breaking up. While The Saturday Night Dance Party is primarily associated with radio station broadcasting, Bob Pantano has brought it outside the four walls of the studio and taken it on the road. The event has been broadcast from local clubs, hotels, and casinos. Over the years, hundreds of thousands of people from the Delaware Valley and beyond have danced, connected and even met that special someone to the beat of Bob Pantano’s playlists. He has a special knack for choosing the right music and matching the best tunes for each audience. His ability to mix classic dance tunes from the 70’s and 80’s with more obscure songs has made him a legend throughout the tri-state region. While Bob Pantano is best known for The Saturday Night Dance Party, it is not his only claim to fame. Bob is also widely recognized as host of the Vendemmia Festival. This South Philadelphia festival is a highlight of the season, and many music lovers look forward to it every year. Bob also keeps busy with the ‘Sounds of Philly Show’, which serves as a showcase for some of the best musical acts – locally, regionally and nationwide. 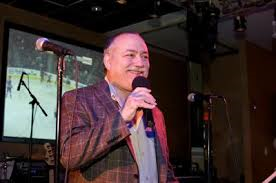 Bob Pantano has hosted live shows at a number of local venues, including the Wachovia Center, Adelphia Restaurant, Penn’s Landing, Trump Plaza, the Wildwood Convention Center and Resorts Casino Hotel. Bob Pantano takes his music seriously, but he is just as passionate about his charitable endeavors. Bob serves on the board of directors of VARIETY, the Children’s Charity. This charity is dedicated to helping children with disabilities, a cause Bob Pantano feels strongly about. Bob Pantano is also an honorary Deputy Police Commissioner and serves as the MC of Philadelphia’s Hero Plaque Program. This great program commemorates the heroism and dedication of the Philadelphia police officers who have given their lives in the line of duty. Philadelphia will always hold a special place in Bob’s heart, and he maintains strong ties with his native community. Bob Pantano is deeply involved with the Church of the Holy Family in Washington Twp, NJ, and he hosts the church’s annual Primavera Festival. He also participates in the Taste of South Philly and numerous other charities throughout the South Philly and Jersey regions. Bob Pantano is proud of his accomplishments, but he is particularly proud of his induction into the Temple University School of Communications and the Theater Hall of Fame. That induction took place in 2007, and was complete with a sidewalk plaque on the Wildwood Avenue of the Stars. A year later, in 2008, Bob Pantano was inducted into the Broadcast Pioneers Hall of Fame, another honor of which he is very proud. Through diligence, intellect and hard work, Bob Pantano has come a long way since his early days of record spinning in the ’60s and 70s. With the numerous awards and accomplishments he has earned, Bob Pantano is duly regarded as a broadcasting icon. 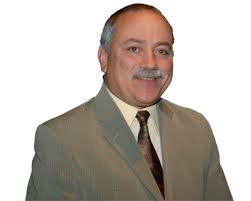 Follow Bob Pantano on Facebook. Stay up to date with more articles at Hooked on Entertainment. Definitely a great host. I would hire this guy for a fundraiser or private party some time in the near future — maybe even a wedding reception — hope my boyfriend see this and thinks!